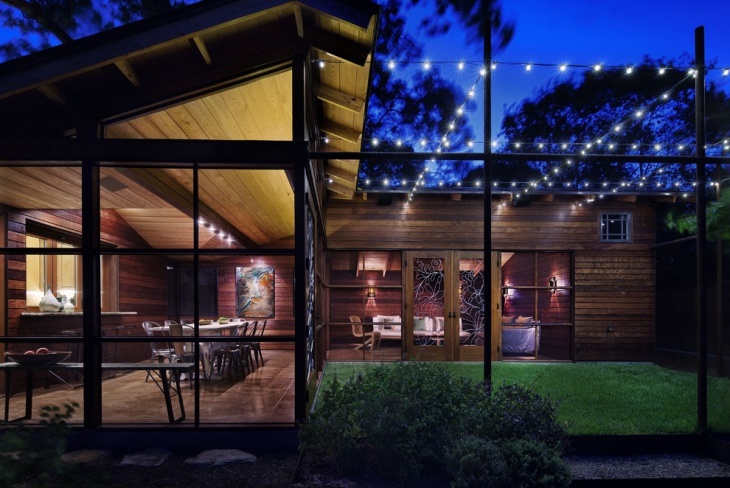 People tend to be innovative while illuminating their homes with Patio String Lights. 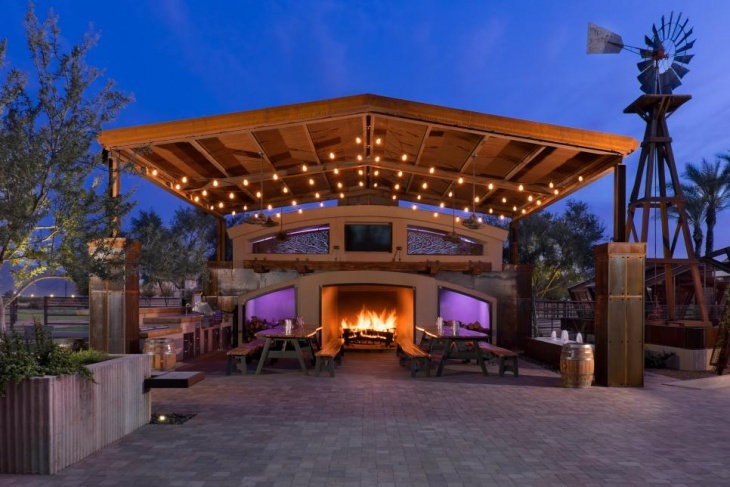 These are some of the most sophisticated yet common elements that you can decorate the patio with. There are newer ideas in the concept of garden lighting. The LED lights, bulbs and other forms of illuminations can be wisely incorporated. People even use bedroom string lights for the purpose. 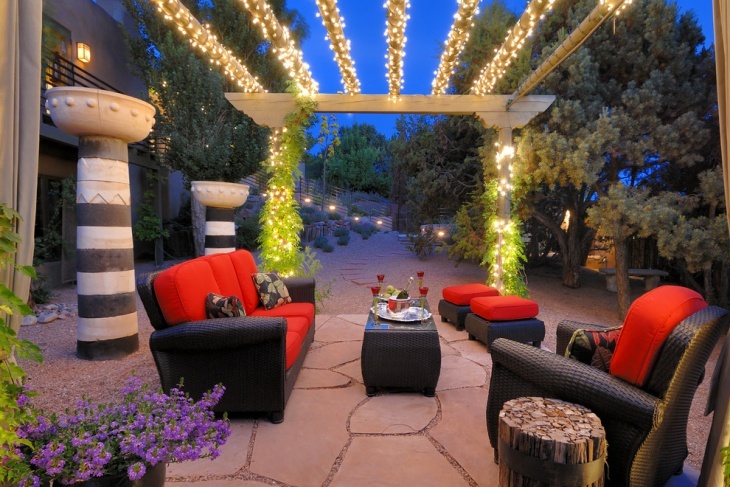 Here, you will find ten elegant patio string light design ideas. 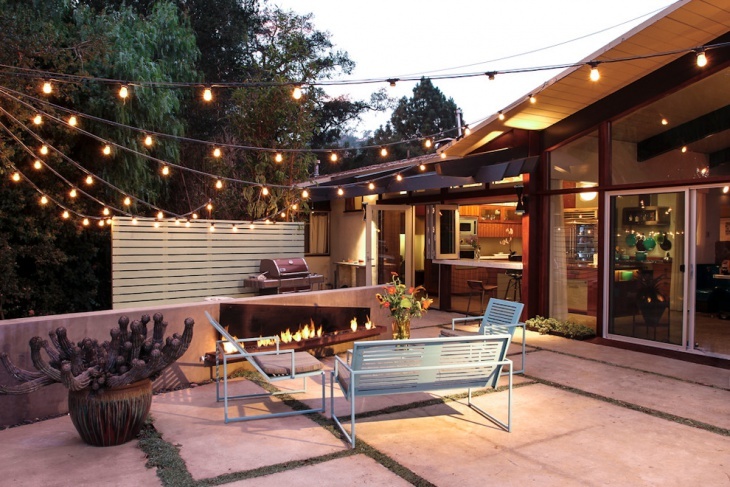 The patios and outdoor sunrooms need sleek lights. These lights are ideal to be used as patio lights, especially when there is a brown interior. These match with the brown flooring and glass walls. The string lights go well with the thin metal frames of the windows. If there is a pool within the compound of the house, you can incorporate the starry night theme over there. 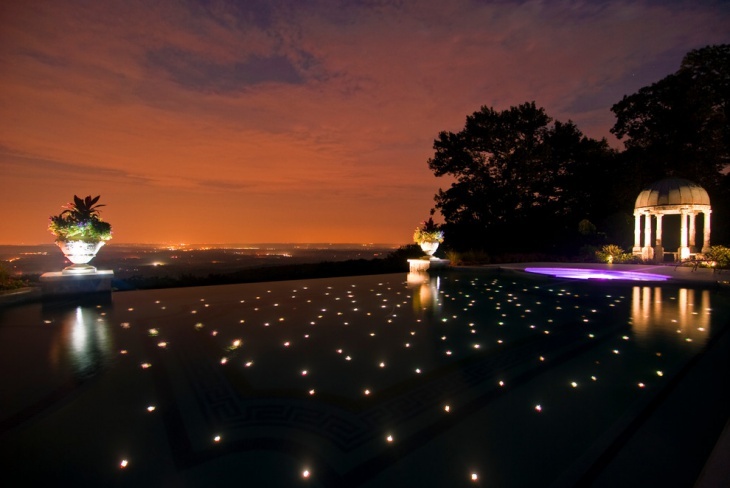 The fibre optic rope lights are fixed along definite lines, and the surface of the pool looks wonderful. Use tiny golden-white lights for optimum effect. 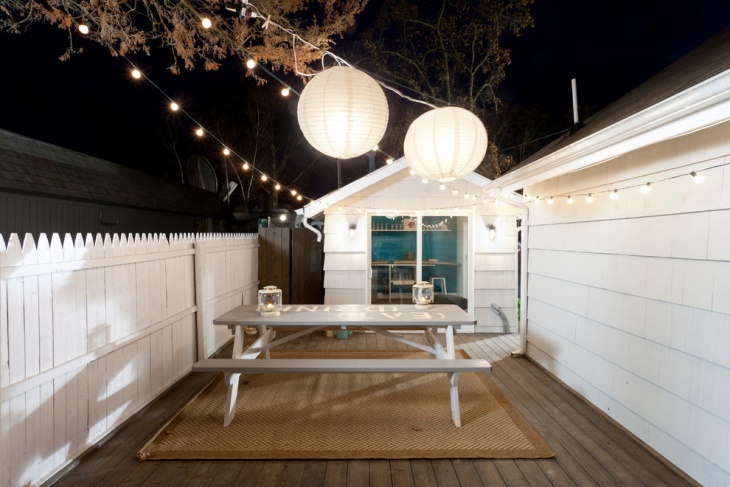 When there is enough space in the backyard of a house, the simple light bulbs can be used to make string lights. 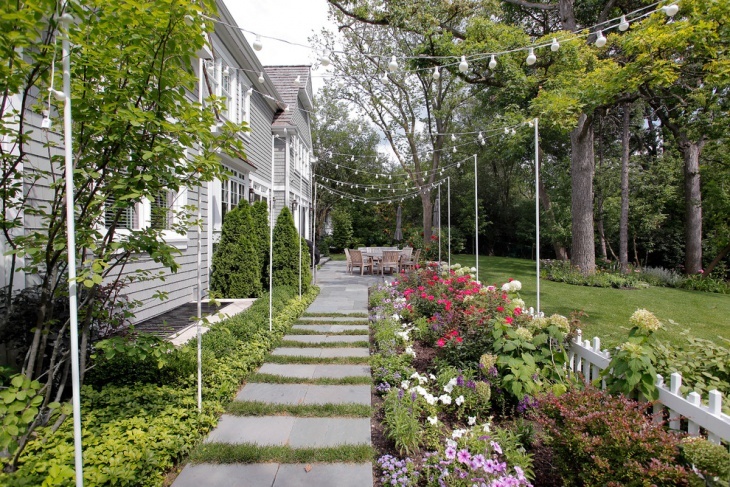 If you have a backyard patio or gravel patio, you can use the trees as poles to fix the chains of lights. 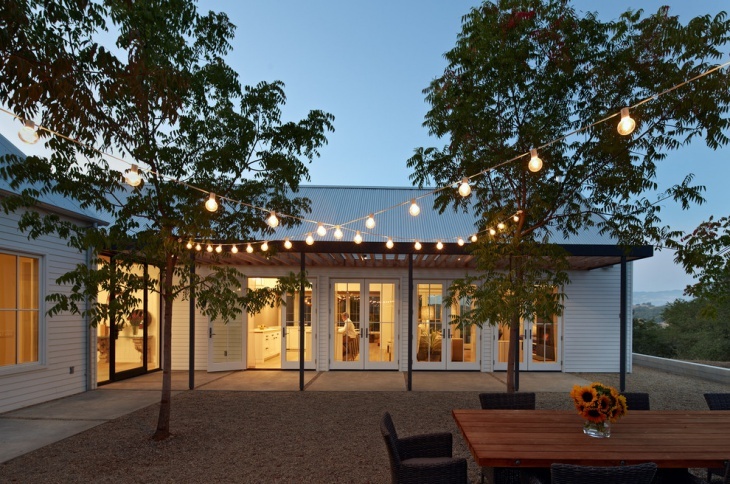 In many contemporary houses, there is a garden patio where LED string lights are used. The bright yellowish lights match the wooden fences and the meshwork of nets painted in yellow. Paint the flower decks in yellow to create a match. Make a wooden sitting arrangement for the place. 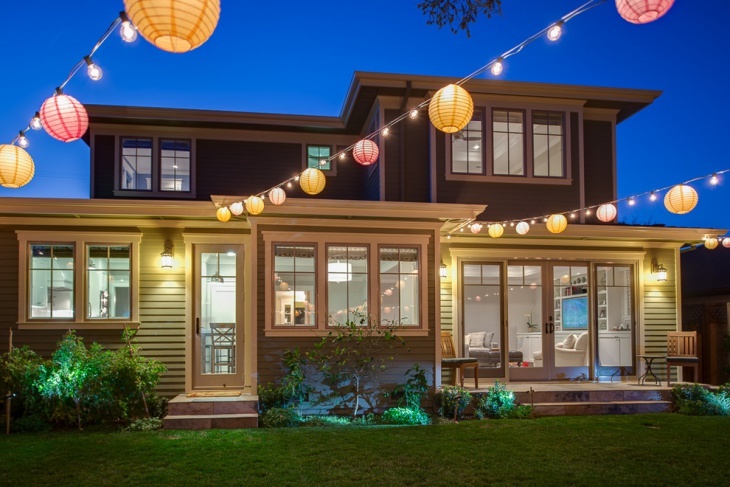 Houses which have a spacious wooden patio look beautiful with the large paper lantern string lights. These match the surroundings perfectly, which include potted plants, a red brick fireplace, and wooden floors. Opt for shades of brown and yellow for the lights to create a good match. 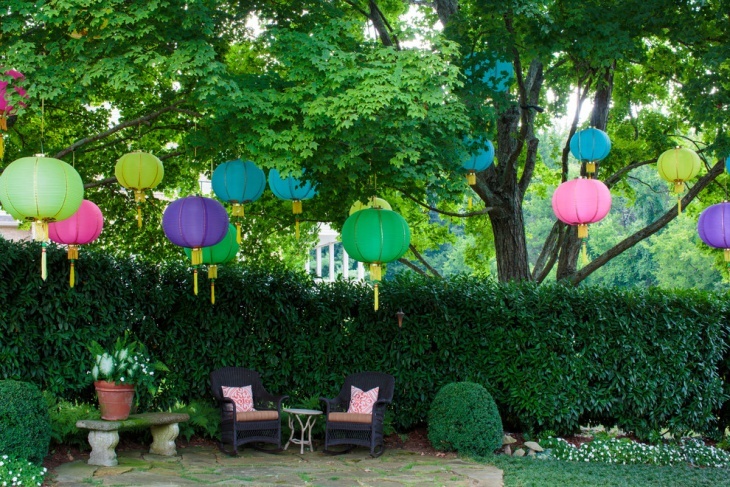 Modern houses with landscaped gardens look beautiful when the paper lanterns are used within the common light bulb string light designs. A paper lantern is fixed after every two bulbs to create the chain. These are ideal for houses with long glass panes for the main door and front windows. 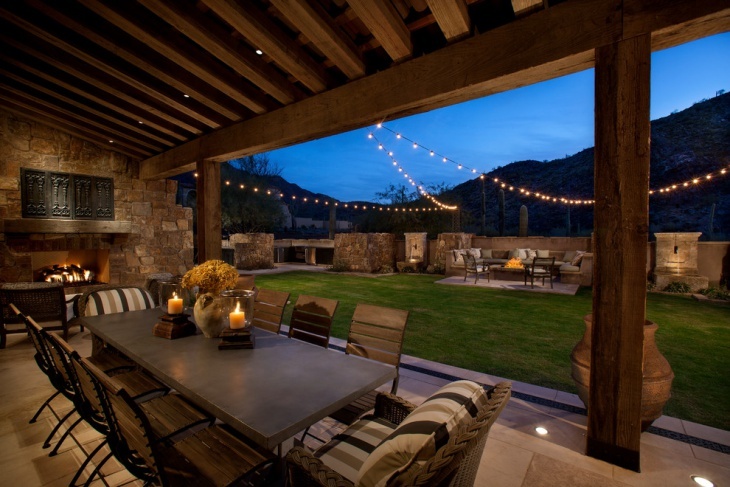 Houses with backyard patios that have an outdoor sitting arrangement can be illuminated using the commercial string lights. The strings of bulbs converge to a point from different parts of the building. These go well with the potted patio plants and dark wooden frames of the glass door and walls. 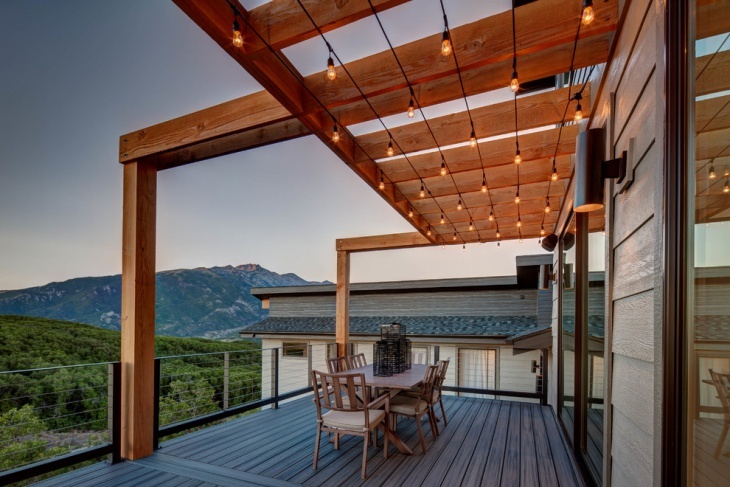 Backyard wooden patios can enjoy the beam ceiling lightings when the backyard string lights are used. The bulbs look beautiful with the dark wooden furniture and beams. 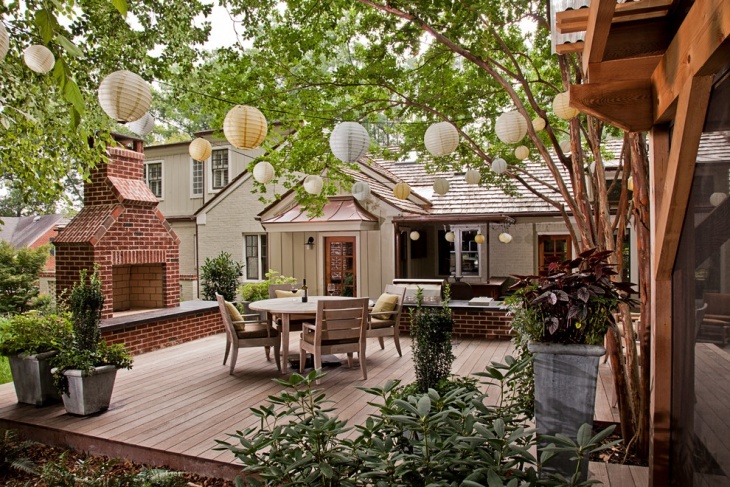 Paint the walls in a wooden shade and get a contrasting patio flooring to make it look classy. 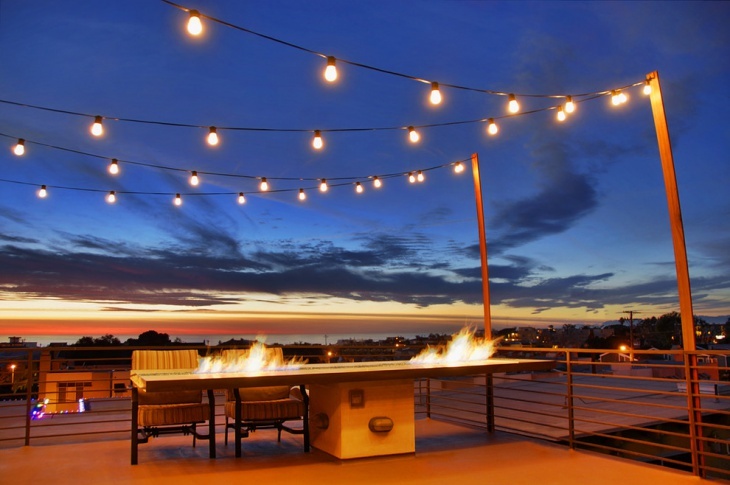 A perfect rooftop lighting remains incomplete without the hanging string lights. These are perfectly compatible to the thin metal railing and the deck table placed on the roof. The strings of bulbs are suspended from the poles. The rust-brown colour of the poles and railings complement each other. 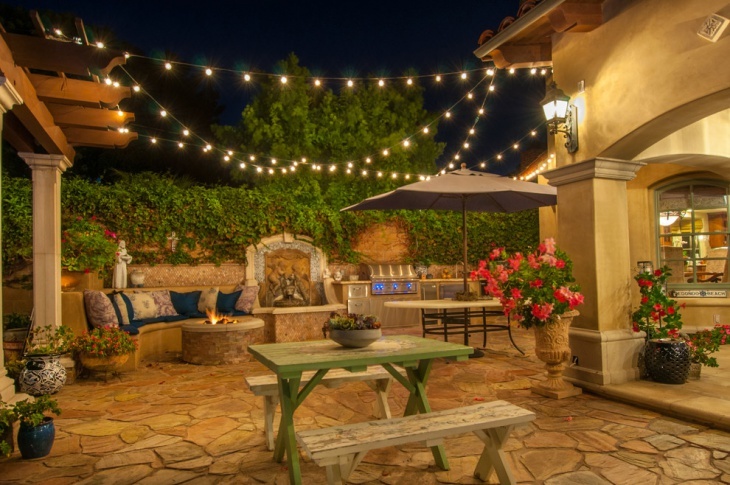 The Patio String Lights are being used for various other areas of the homes, like the pools and the gardens. The reason is that these lights have an inherent appeal to the people irrespective of the area where they are installed. 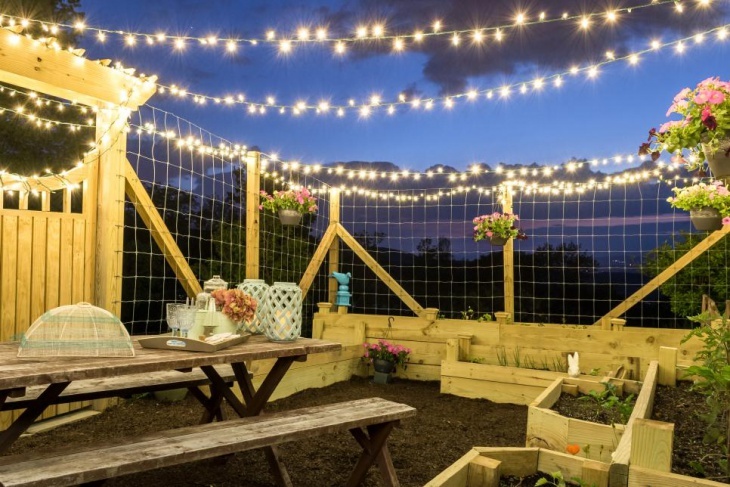 When you think of the patio string light ideas, you may have your own innovations. Feel free to let us know about these ideas.